Today, SeeSam strives for excellence and aspires to be the top performer in each of its business segments. 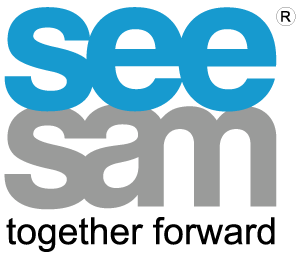 SeeSam is constantly evolving as a company to fit the customer’s ever changing needs and the growing demands of the industry. SeeSam welcomes you to join and discover the ease of doing business through the delivery of quality products and service at competitive prices. Excellent service and customer satisfaction is thus our prime goal. Today’s advances in technology can be overwhelming, and more than ever, businesses need a dedicated team to put them on the right path. At SeeSam, we have the knowledge and technology to provide you with easily manageable solutions that are tailored as per your business needs. From strategy and assessment to design, implementation and ongoing operation, we will do whatever it takes to help you create a more responsive, efficient, and integrated business. With experience of more than 25 years and a firm commitment towards customer satisfaction, we assure that together, we shall fully harness the power of technology to make your business more profitable. SeeSam is an independently owned private limited business enterprise with a history of outstanding project performance on large scale and project-based contracts. SeeSam’s reputation is unbeatable in terms of production and delivering of value-added products and services on time. SeeSam has a broad range of corporate expertise in Digital Document and Communication Solutions, Software Development, Cash Management Solutions and Project Outsourcing with network capability. Our approach is to provide innovative solutions to improve our customers’ productivity in the most cost-effective manner. SeeSam is dedicated to provide total client satisfaction and is keen to “make technology count” for you and your business.